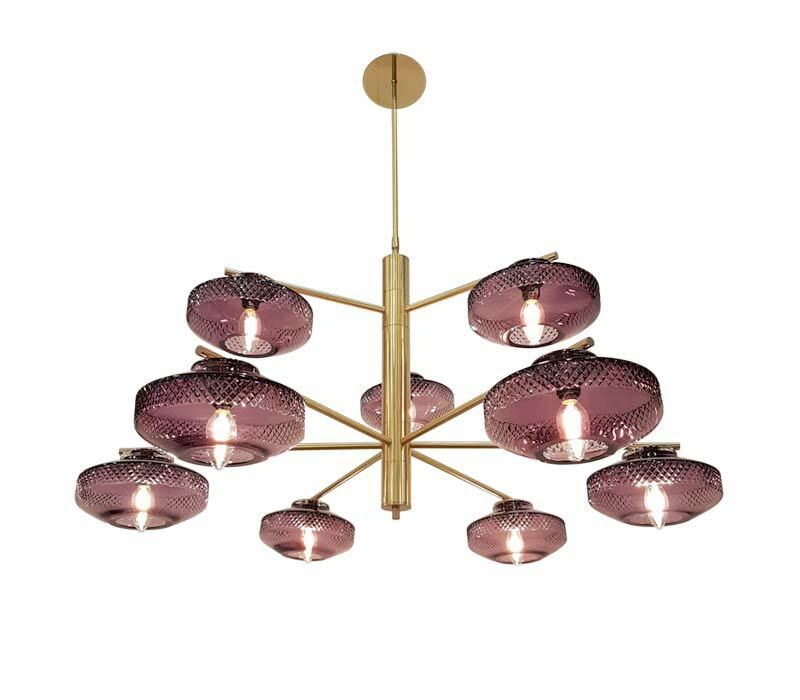 Lily is a contemporary chandelier that takes its cue from classic grand lumieres. 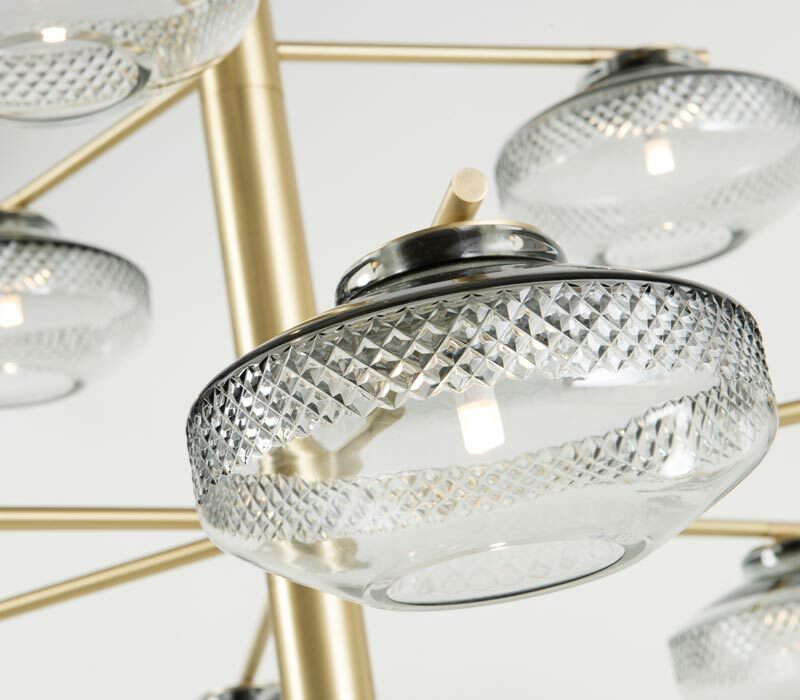 It marries traditional sparkling English cut crystal with a fresh geometric design to form a spectacular centrepiece light. 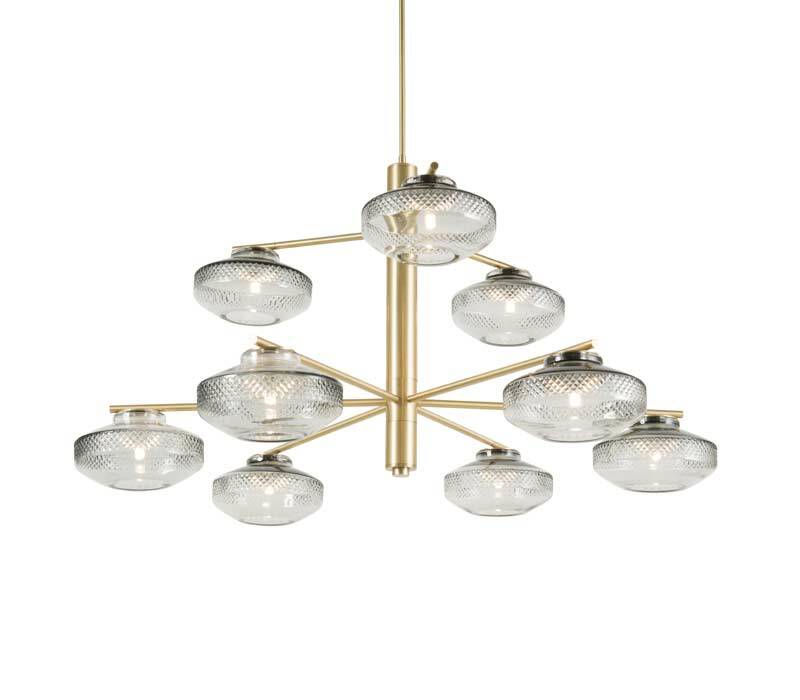 With a star-like, multi arm contemporary structure, the Lily design features two horizontal brushed brass tiers of three, and six English mouth blown diamond cut crystal shades. 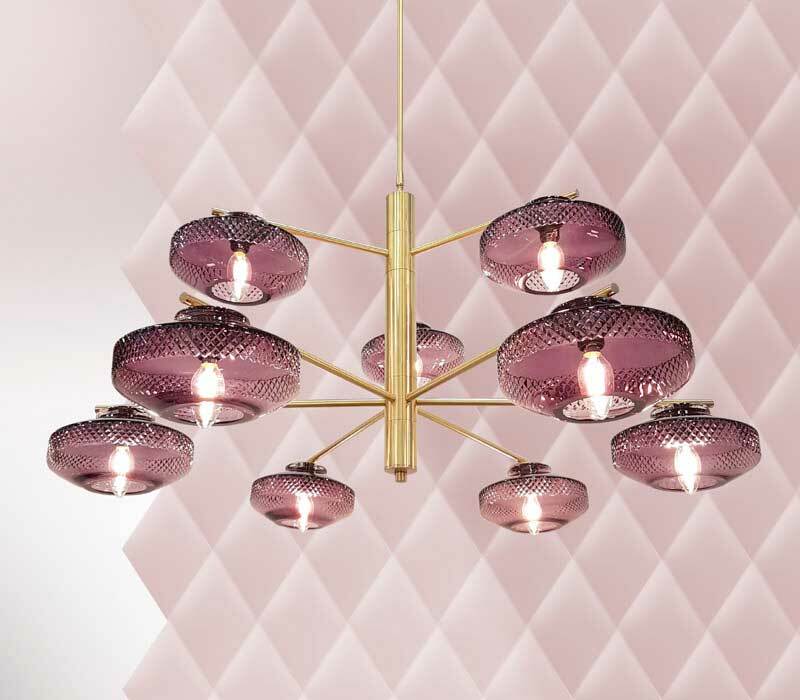 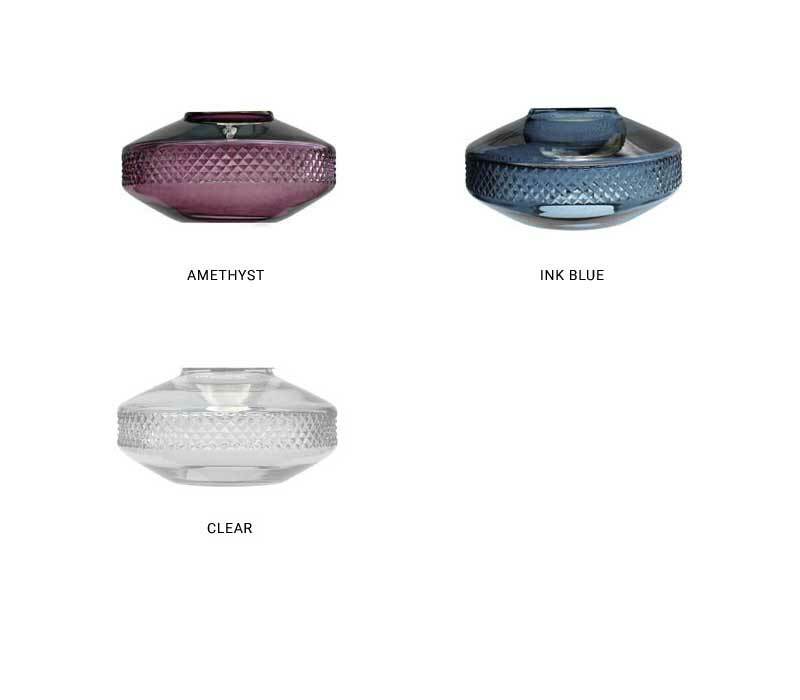 Lily is an innovative combination of decorative crystal with a modernist structure, designed to work in contemporary and classic situations.